The registration process for the Junior Ocean Explorers Summer Program is now open. This new program is intended for youth that are not yet eligible to participate in the Youth Ocean Explorers Summer Program but are eager to learn more about marine science. 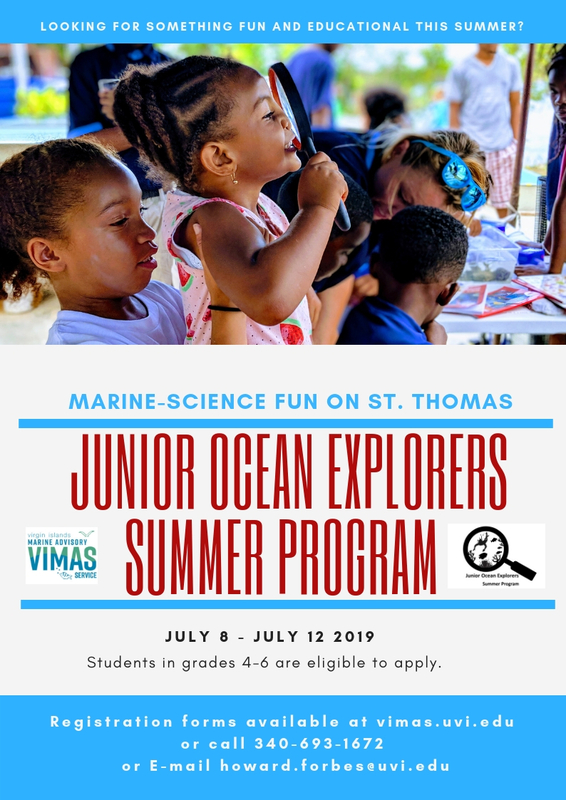 Kids in grades 4-6 are eligible to apply; register today at vimas.uvi.edu!